Tom Morrisey is a mountaineer, aviator, shipwreck diver, and explorer, who holds a Full Cave certification from the National Speleological Society - Cave Diving Section. He has launched, edited or contributed to numerous national publications and is an award-winning adventure-travel writer. A popular speaker, he is also active in both evangelism and the arts. 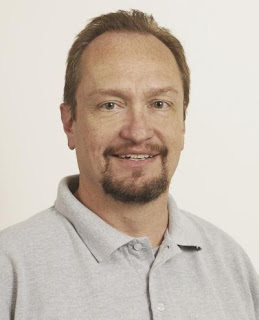 Morrisey earned an MFA in creative writing from Bowling Green State University, and his fiction has been featured in numerous anthologies and magazines. His first novel, Yucatan Deep (Zondervan, 2002) was a finalist for the Christy award, and he is the author of six novels, including Wind River and In High Places. In addition Tom has also written two nonfiction books: 20 American Peaks & Crags (Contemporary Books, 1978) and Wild by Nature (Baker Books, 2001). He and his family live in Orlando, Florida. 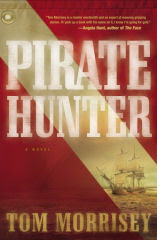 High Seas Adventure Meets a High-Tech Quest for Pirate Gold West Indies, 18th century Young Ted Bascombe is rescued by notorious pirate Captain Henry Thatch, finding himself caught up in a world of crime, adventure, and a daily fight for freedom.... Key West, 21st century Marine archaeologist Greg Rhode embarks on a treasure-hunting expedition in the turquoise waters of the Florida Keys, but he's as beguiled by a beautiful diver with different-colored eyes as by the lure of pirate gold...The Hunt Is On! Interweaving these two stories, pro deep-sea diver Tom Morrisey spins a multilayered tale of two young men's quests to escape their past by losing themselves to adventure on the high seas. Romantic and thrilling, this unique novel explores the timeless truth that "where your treasure is, there your heart will be also."